This Trendy Bag has heavy handwork embellishment and is spacious enough to accommodate all the essentials. 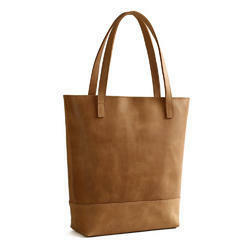 We are offering our clients Trendy Handbag. This range is properly tanned in the laboratory and can be used by women of all ages. Crafted using optimum grade jute fabric and latest technology as per the international standards, our range is available in varied sizes, colors and designs. Our range can be availed at market leading prices. 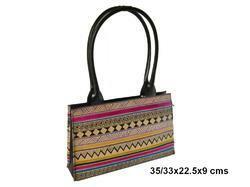 We offer an excellent quality range of Trendy Women's Handbags. It consists of handle which serve as a advantage by hanging them in your shoulder. The design looks very attractive. These Trendy Women's Handbags are available in various shades and patterns. We are a reputed entity, engaged in offering a qualitative array of Ladies Trendy Handbag. We offer the best quality of Misc textile02 to our client. We offer an exclusive variety of colored bags that give dazzling outlook which adds your feminine holds. These different colored bags are in varying sizes and shapes. Quite a versatile varieties, imbibing beauty, style and durability, crafted to trendy & classic look.